Go For The Gold and Meet Team USA are both available on Netflix now through Feb. 25. In one corner, a traditional broadcast network (plus associated cable channels) heavily invested in sports, with a massive month coming up between the Super Bowl and the Olympics. In the other, a successful streaming service that’s seen executives regularly speak about their lack of interest in sports, especially given the limited shelf life of live games. And yet, NBC and Netflix have come together for a new original series previewing the PyeongChang Winter Olympics (NBC coverage there begins Feb. 8). NBC Olympics has produced a two-part original series in advance of its 2,400 hours of coverage of XXIII Olympic Winter Games from PyeongChang, South Korea, this February. The series will stream on Netflix, the world’s leading internet entertainment service, and will profile Olympic gold medalists Shaun White, Mikaela Shiffrin and Lindsey Vonn, among others. …Go for the Gold pulls back the curtain on some of the top athletes competing in PyeongChang, including Nathen Chen, whose mastery of the quadruple jump helped him claim the 2017-18 Grand Prix Final championship; Olympic gold medalist Mikaela Shiffrin; and several top U.S. athletes in every sport featured in the Winter Games. The series introduces viewers to the personalities of several U.S. athletes while highlighting the grit and determination required to be an Olympian. Meet Team USA chronicles the journey of snowboarding legend Shaun White as he prepares to pursue his third Olympic gold medal, and various other members of the U.S. figure skating and aerials teams on their Olympic journeys. Both programs are hosted by NBC Sports’ Carolyn Manno, and they’re available on Netflix as of today (Jan. 15). They’re categorized in Netflix as “2018 Winter Olympics Preview,” for those interested, and they’ll be there through the end of the Olympics on February 25. And this is a notable decision for NBC; it obviously makes sense for them to do Olympic preview coverage, especially focusing on athletes’ personalities to try and get potential viewers excited about them, but much of that coverage has traditionally aired on NBC or NBCSN, and it could also be used to pump up the new NBC-operated U.S. version of the Olympic Channel. Putting these preview series on Netflix, which is in at least some ways a competitor (for eyeballs for both NBC and its affiliated cable networks, and for monthly subscriptions for the cable networks), is a significant change. But making content for Netflix is perhaps a change that makes a good amount of sense for NBC, and one that could potentially boost their Olympic audience. For one thing, a whole lot of people have Netflix, including those who subscribe to pay TV as well. 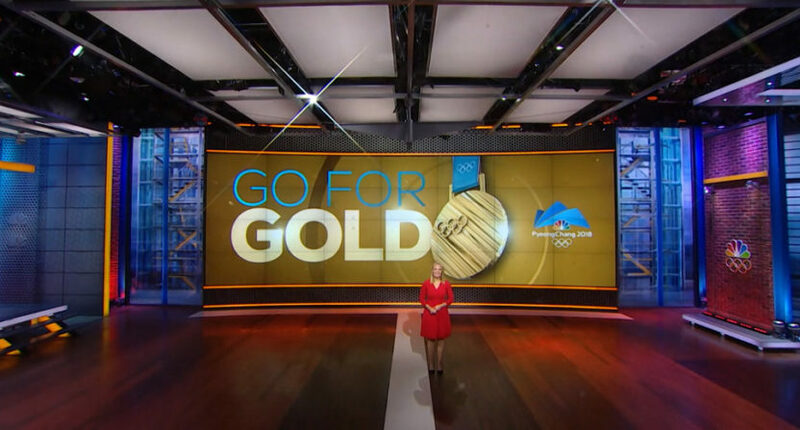 Putting Olympic promotional content there may appeal to some of those viewers and make them more interested in checking out the Games. For another, numerous sports networks have been complaining about cord-cutters and cord-nevers a ton recently, and many of those who don’t subscribe to cable TV do have Netflix. And Olympic programming is something that makes sense to market to Netflix subscribers, as much of it will be available on over-the-air NBC, which many cord-cutters still have access to. From the NBC FAQs, it appears pay-TV authentication will be required to stream Olympic content, so they won’t necessarily get people in that way, but there is a chance for them to boost their over-the-air audience through this approach. This isn’t necessarily a mammoth move in its own right, as we’re talking about just a two-part series. There will undoubtedly be plenty of Olympic preview programming on NBC’s broadcast and cable networks too, to say nothing of their website; it’s not like they’re only promoting the Games through these Netflix specials. But it’s an interesting move, and one that’s perhaps logical considering the wide appeal and storyline focus of the Olympics and the availability of a lot of Olympic programming on NBC’s broadcast network. We’ll see if this goes well and if it leads to NBC and/or other sports networks making similar deals with Netflix in the future, or if this winds up being only a one-off.